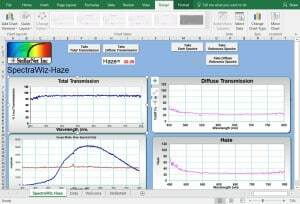 Haze Measurement System - StellarNet, Inc. 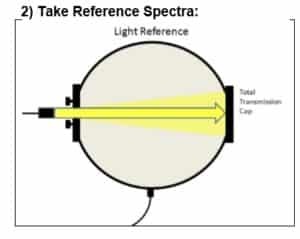 The StellarHaze System is preconfigured for total transmission and haze measurements and includes a compact fiber optic spectrometer, light source with integrated optical amplification and collimation lens, custom haze measurement sphere with diffuse transmission port and optional sample attachment clips. 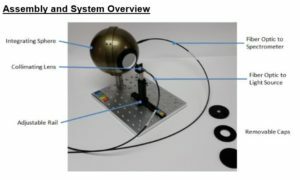 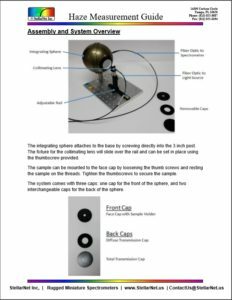 The sphere is mounted on a breadboard with alignment track for easy positioning. 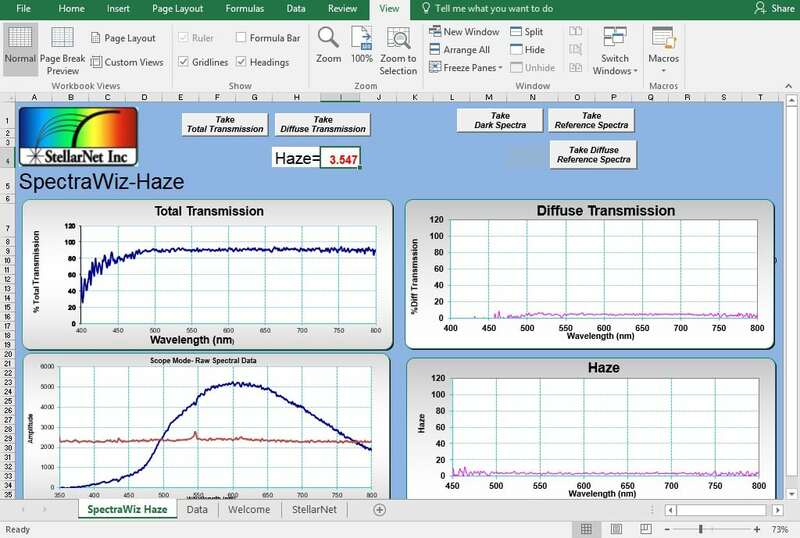 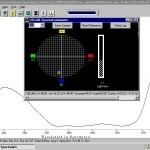 Haze Measurement Software – The haze meter comes complete with StellarHaze software for MS Excel that calculates transmission and haze at once while also displaying spectral curves over the 300-850nm spectral region. 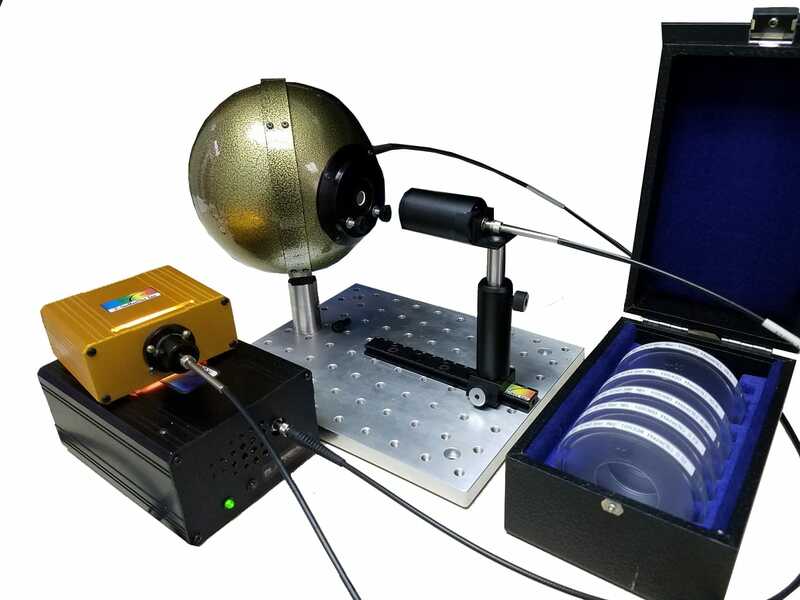 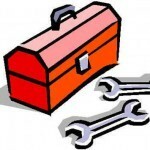 The modular system can be quickly assembled for measurement or broken down and stored in a rugged instrument case. 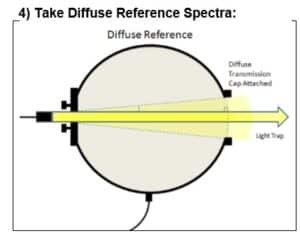 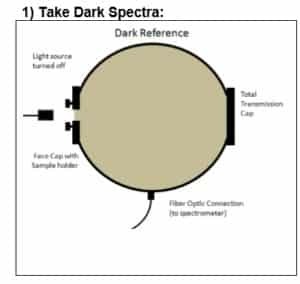 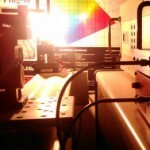 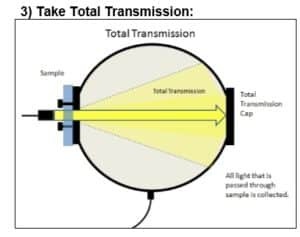 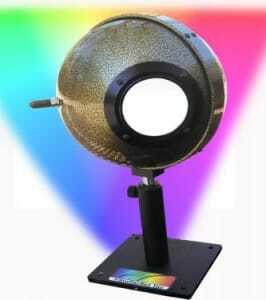 Additional accessories can be purchased for reflectance or other spectroscopy applications. 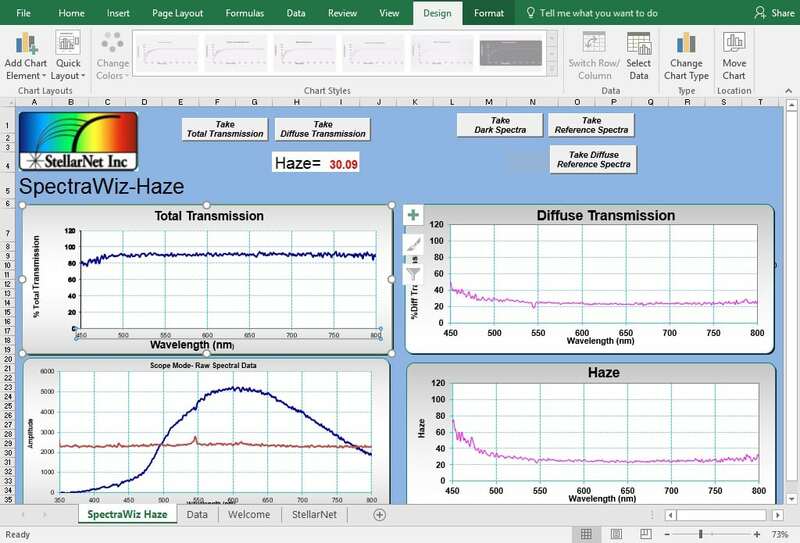 What is Haze? 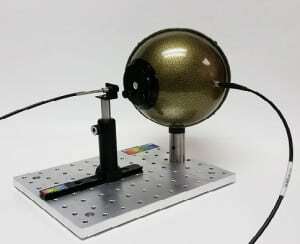 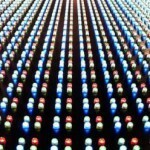 The appearance of transparent materials can be tuned for their applications and can be quantified by their light scattering optical properties. 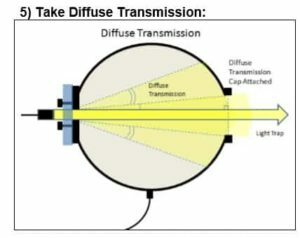 The cloudiness or “haze” can be defined by the percentage of light transmission which deviates greater than 2.5 degrees. 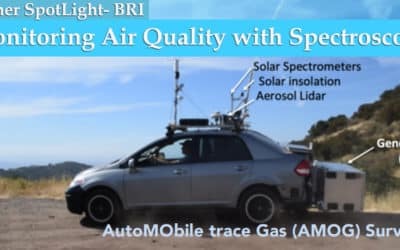 The system comes complete with StellarHaze software for that calculates transmission and haze at once while also displaying spectral curves over the 300-850nm spectral region. 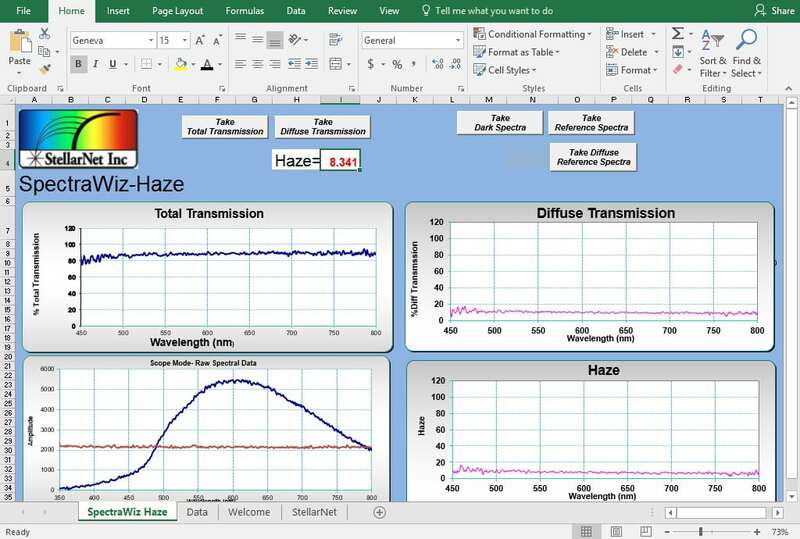 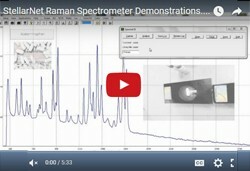 SpectraWiz-Haze Software allows easy calculation of sample haze in just 5 simple steps!